If you've been looking forward to the mod that will bring GTA 4's Liberty City into GTA 5, there's some bad news: it's been closed down. There's been plenty of drama in the Grand Theft Auto modding community of late, what with the shutdown (and eventual return of) modding tool OpenIV. But that wasn't the only project affected. The same modders that created OpenIV were also working on a little project called "Liberty City in GTA V" that would have imported Liberty City from GTA 4 into Rockstar's newest open-world game. "Unfortunately, our highly anticipated mod "Liberty City in GTA V" will not be released because it clearly contradicts with Rockstar modding policy. Liberty City mod is a big loss for us, since it was a huge part of our motivation to push OpenIV functionality." The modder then says that the team is "currently revising our plans for the future," so it's unclear just what might be next for the talented group. If you'd like to see the policy that is referenced in the post, you can find it here. The relevant bit is where the policy forbids "importation of other IP (including Rockstar IP) in the project." Oh FFS... Can't Rockstar just leave T2? You know I am gonna honestly ask? 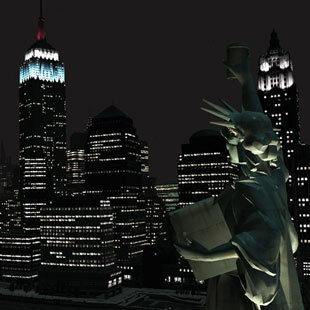 Would having a mod of GTA 4 Liberty City in GTA 5 acutally be good? What are you giving me? Are you recreating GTA 4 in its entirety? The same animations of the NPCs, the same voice files, the same cutscenes re-animated, the same charcaters, the same missions recreated? etc. etc.? Because so far all I see being created here is just a recreated but empty map of GTA 4 Liberty City with nothing to do but drive around and fight cops if they had NPCs in there. There is no loss here, just go play the real GTA 4. So, they were using this project as a sort of test-bed for OpenIV? Like, if they ran into a roadblock where they couldn't do something due to lack of functionality, they knew what feature to add in next to add said functionality? I don't play the Grand Theft Auto games, so I'm going to need a bit of clarification here. Does the GTA5 engine add a lot more features for the player than the previous game did, or was it just more of the same with a prettier coat of paint? If it's the latter, then I can kind of understand T2 wouldn't like the idea. All it would do would be prevent anybody who's ever played GTA4 from buying it. They could just download and play with the mod in 5. There are also projects to port Oblivion and Morrowind into Skyrim's engine. The developers know about these projects, and their only condition was that the mod-makers were not allowed to simply transfer the world models. Everything had to be recreated from scratch. It's taken ages, but the projects are still in-progress. The OpenIV guys should try and get in touch with the game developers and see exactly what the line is in regards to projects like this. Could these projects be allowed if they forced possession of both games to run? It would attract sales of the older games, and fewer people would ask for official remakes of the older games if this was available. Would it be allowed if it wasn't a direct port and everything was manually recreated? If all else failed, why not just do a unique world for their project. Hell, go open Google Earth or something and whip up a recreation of the real New York City? It would take a long time, but that would be an amazing project. I know for a fact that I would be absolutely thrilled if I could open a game mod and find where I lived in it. My understanding is that GTA5 has actually dumbed down a lot of the features that appeared in GTA4, the car physics in GTA4 are vastly superior were as those of 5 are what happens when a group of clowns who have heard about how cars handle get in to a room together, throw pies at each other then use the resulting mess as a basis for building a handling model. NPC interactions are better, water effects are better, lighting effects are better and the cops are better they actually miss some shots unlike GTA5s which can shoot you with deadeye accuracy from a helicopter while you're travelling at 150Mph weaving like a drunk and with suitable mods the graphics difference isn't even that great. What the developers should have done is converted GTA5 to GTA4's engine, they would have ended up with a better game, where as converting GTA4 to GTA5 would have resulted in a worse game. The developers know about these projects, and their only condition was that the mod-makers were not allowed to simply transfer the world models. I think that was the plan for this mod to begin with: Set up the framework so that if you got both installed, the mod would copy Liberty City into GTA5 as a new location.